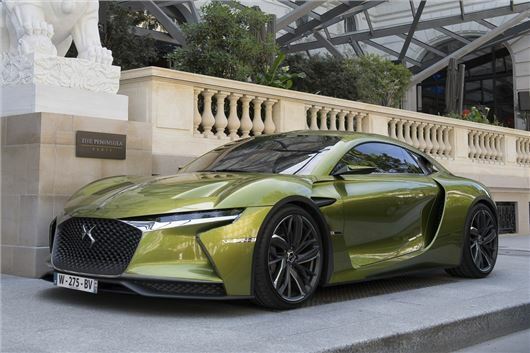 DS Automobiles has revealed that all the firm's future models will be electric or hybrid by 2025. The brand - which separated from Citroen in 2014 - has previously said that its second-generation cars will be available with electric or hybrid powertrains. However, speaking at the latest Formula E round in Paris, it announced plans to make DS a "global leader in electrified vehicles". The plug-in hybrid DS 7 Crossback E-Tense 4x4 will be launched next year, with the brand touting figures of 300PS and a 30-mile electric-only driving range. An all-electric DS model will be revealed at this year's Paris Motor Show and is expected to go on sale later in 2019. A futuristic concept car, badged the DS X E-Tense has recently been revealed as a preview of the brand's vision for its future as far ahead as 2035. The all-electric coupe features two electric motors - one powering each of the front wheels. During road use, the E-Tense produces 540PS. This increases to 1360PS when the driver selects 'circuit' mode, "allowing the driver to savour the exquisite performance of the suspension engineered by DS Performance". Other manufacturers have already made similar commitments to electrified vehicles, with Volvo announcing plans to electrify its range from next year. Jaguar Land Rover has also said all its cars will feature an electric motor by 2020.